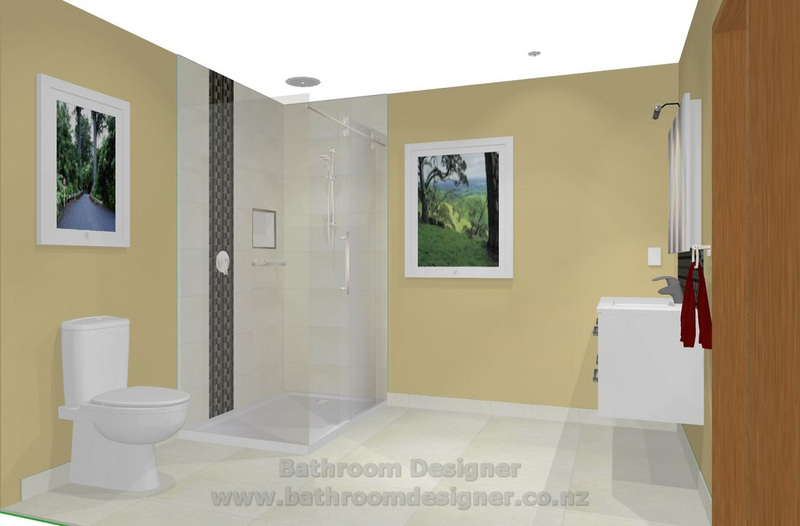 This was a project that turned a separate bathroom and toilet into a large modern bathroom with more space. 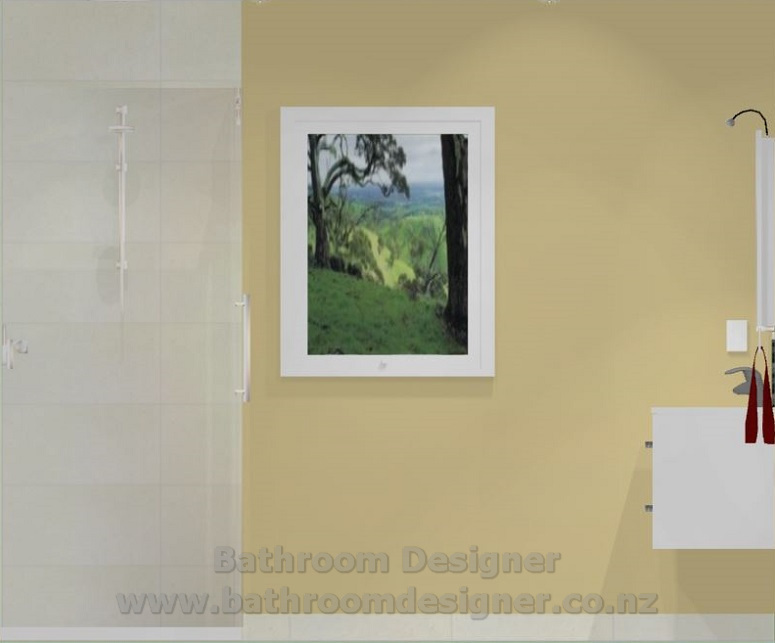 Using an acrylic Dreamline Shower tray helped to keep the cost within budget. The client was absolutely delighted with the finished room. 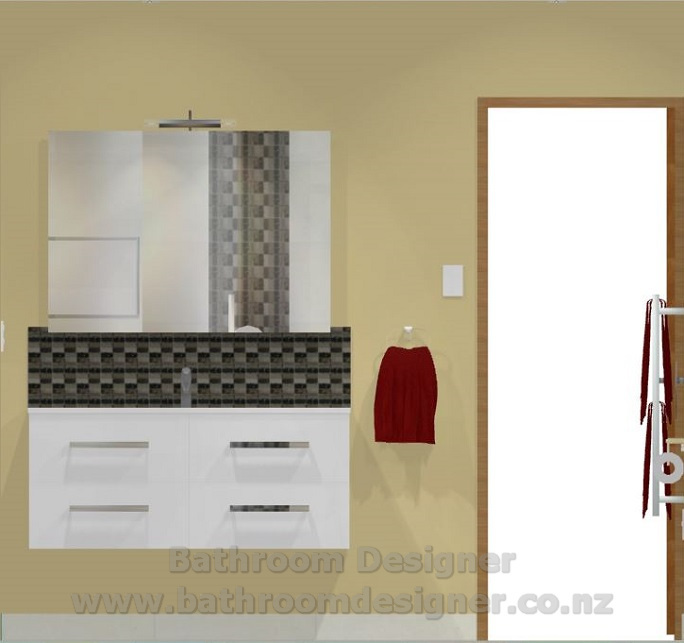 The client wanted a large shower and vanity and extra storage. Tiled floor and shower walls was the desired option. 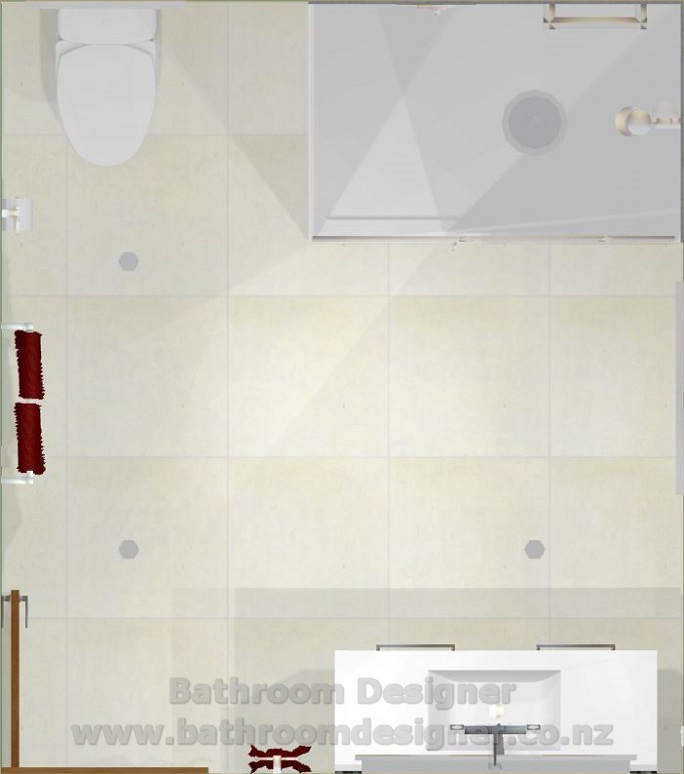 A new large spacious bathroom was created. Great entry/exit to the shower and space around the vanity ad toilet. 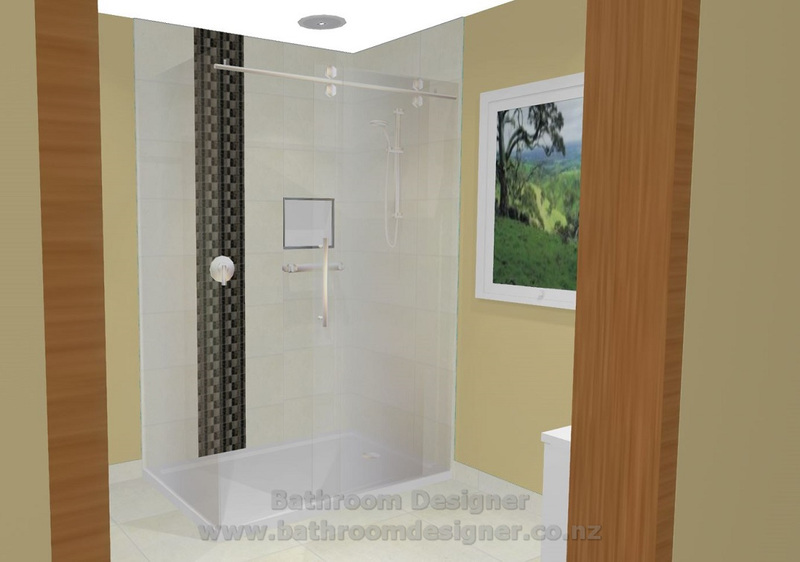 The shower has an acrylic tray with a stainless steel door track and 8mm glass. Inside the shower the walls are tiled. 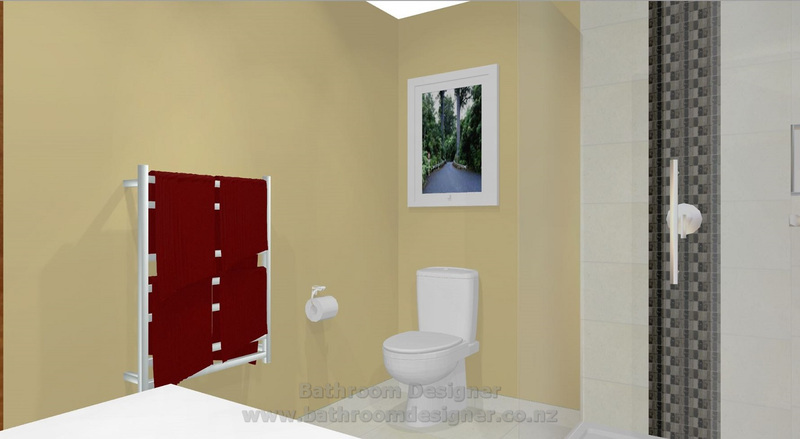 In the rear shower wall there is a recess shelf fitted for the storage of the shampoo, conditioner etc. 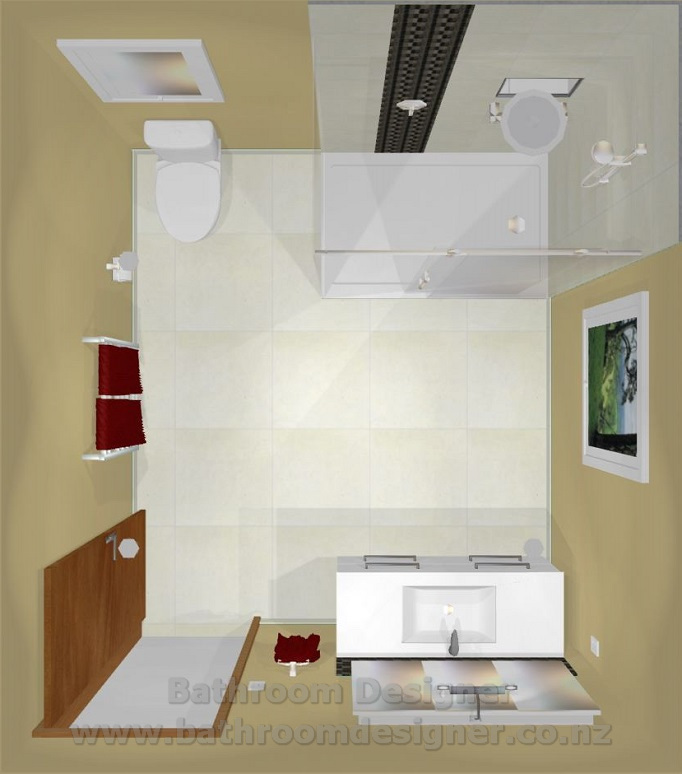 The shower wall tiling goes up to the ceiling. There is a feature tile strip on the back wall. 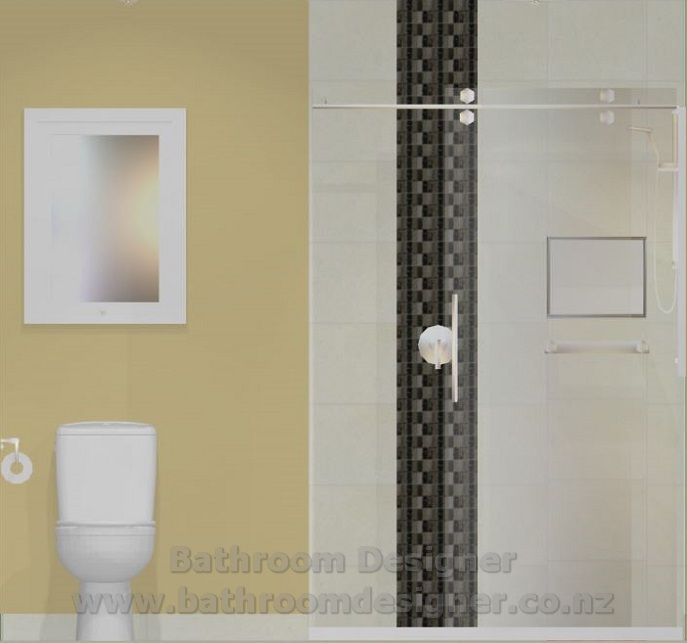 Feature tiles are becoming common place in bathrooms. They add that ”dramatic” effect. The toilet is a back to wall model. The walls have a tiled skirting fitted to a height of 120mm. This covers the waterproofing which up the walls 80mm. This is called “tanking” the room. The window has an image attached to it to create a more realistic view. 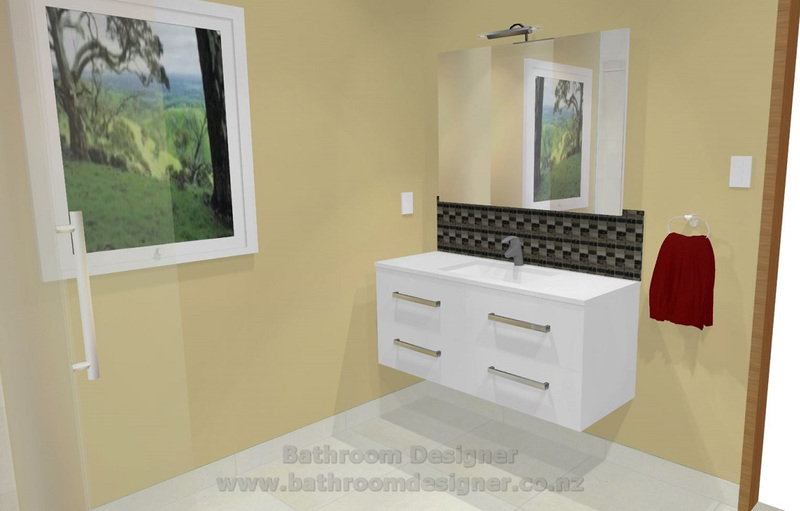 The vanity is a wall hung which has become extremely popular these days. It is usually set at a height of 850-900mm depending what the client wants. The mirror cabinet above the vanity gives the extra storage wanted and also has a double power point fitted inside and a light above. The feature tiles are used above the vanity as the splashback tiles. See the reflective images seen in the mirror. It give the image the realistic effect. 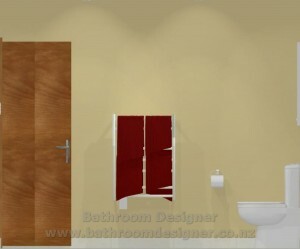 The door has the timber colour added to make it look “real”. The heated towel ladder is fitted with concealed wiring so it has a very clean look. The most popular heated towel ladders should hold at least 4 towels. The floor was tiled and a skirting tile fitted. The client did not want a tiled shower floor so we used the acrylic option. Above the shower we fitted an extra low voltage fan/light fitted with a run on timer. LED downlights were fitted to the ceiling. They use very minimal power to run. Notic how the lighting cast shadows so the room looks “real”. When zoomed in to the room we can see other fittings through the glass. We can view the room through the door way. Just as you would see when entering the room. Once again looking through the shower glass. The reflection in the mirror is very realistic. 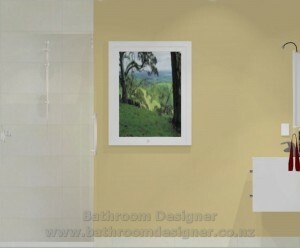 All the colours can be changed to we can personalise the fittings, walls, floor, towels etc to your tastes.